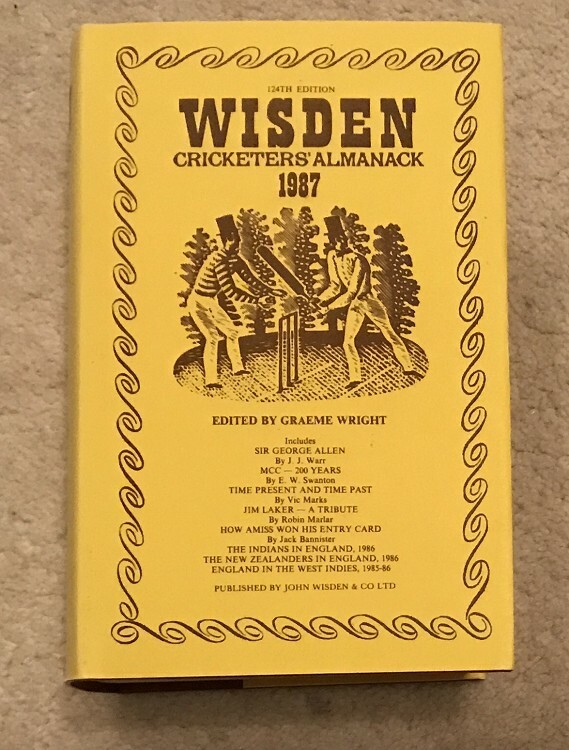 This lot is a 1987 Original Hardback Wisden with Dust Jacket, it is in very good condition, for the year it is in superb condition , this year is a very hard year to find, many more linens come to my attention for 1987 than hardbacks, i find it the hardest to buy-in in the 1977-2018 range , there is a tony think line to the rear of the dj and a small mark to the page block else it is superb, i best check it against mine :-) , internally superb and the DJ is a lot better than many. Please see the large pictures. Buy-it-now. More 1987s available from £8 to £30, please ask.